Biloxi's Top Ranked Charter Fishing Service! 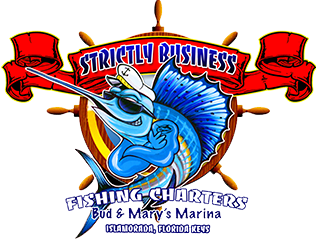 Strictly Business Fishing Charters specializes in private guided chartered fishing trips. From Snapper to Speckled Trout, our guides will give it their all to put you on the fish. The Mississippi Gulf Coast has year round angling action. Book your next charter with Strictly Business Fishing Charters. Our friendly and knowledgeable staff knows all the spots and can guide you to the fish. Strictly Business has four vessels to choose from and all are fully equipped. From a 42 foot Bertram to a 20 foot open fisherman, Strictly Business has the right vessel for you. Check out our captains, vessels, and special options that Strictly Business provides for your group.